The Samsung Foldable Smartphone is coming at Mobile World Congress 2019 next February and now we have some more details on the device. According to a recent report the handset which is rumored to launch as the Samsung Galaxy X will feature a curved battery. The battery on the handset is said to be between 3000 mAh and 6,000 mAh, the exact size of the batter is not known as yet. Samsung have a large display to power in this handset so it will need a larger battery. 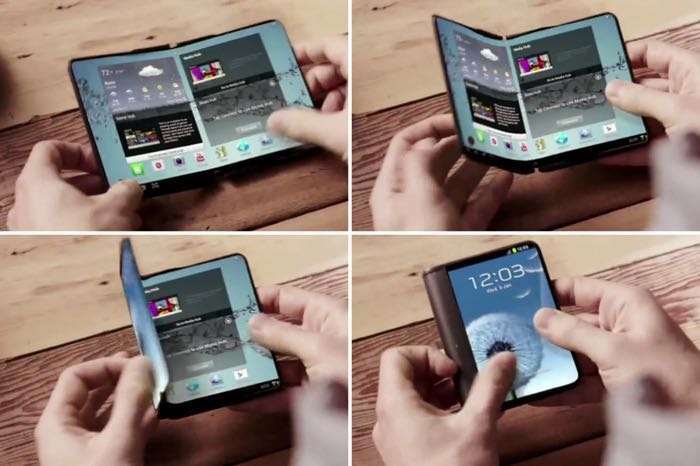 The handset is rumored to come with a 7 inch display that will feature two 3.5 inch displays when folded. According to a recent report the handset will not fold in half but will instead only fold two thirds of the way when it is folded away. The apparent reason for this is because Samsung wants to leave part of the display accessible to users whilst in folded mode to allow for access to things like the time, notifications and more, exactly how this will work remains to be seen. This is one handset we are looking forward to seeing and we suspect that this device will be stealing the show at next years Mobile World Congress.